Is there any of you who likes anything Japanese? Maybe you like to do makeup like Gyaru girls? Or maybe you idolize Japanese celebrities with those flawless skin and you've been wondering about their skincare regimen? I don't know if you've heard about it but I'd like to introduce you to Kawaii Beauty Japan where you can learn how to show your true beauty with secrets of Japanese women..
Kawaii Beauty Japan is a one-stop media where you can learn all about Japanese beauty. 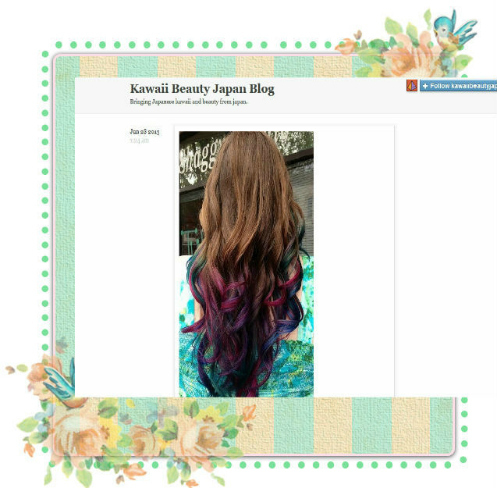 If you're interested in the Japanese beauty world then you might want to take a peek on Kawaii Beauty Japan (KBJ). Kawaii Beauty Japan was established by a Japanese beauty media company named "Rich Media" and has been working with over 700 Japanese cosmetic companies in Japan. They are now branching here in Indonesia to provide information for us on Japanese beauty. They have their own Facebook page, a blog, and you can also reach them through their twitter (check the end of this post for details). I actually learned about KBJ around a few weeks ago but I couldn't share it sooner with you guys because I was sick. But anyway, to make things short, Kawaii Beauty Japan actually has three main concepts which are: The "SKIN", the "HEART", and the "BODY". You can read and learn more about it from one of their many shared articles and contents that you can read on their blogs and facebook page. 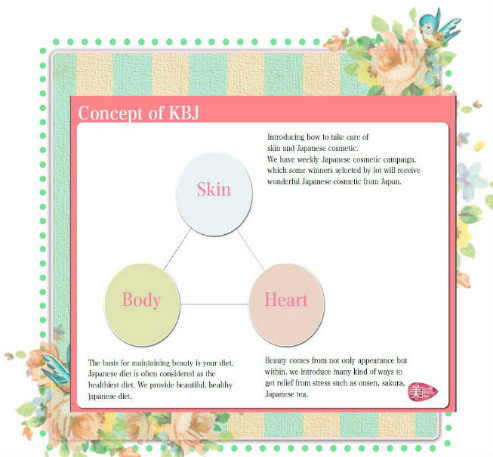 On the"SKIN" part, KBJ would like to introduce a variety of skin care tips as well as Japanese products that they truly recommend. On the "HEART" part, KBJ believes that beauty is not only from appearance but from the heart / inside too, so they want to share info about the beauty culture, the scenery and also the beauty of Japan itself that could enrich the "inside" part of ourselves.